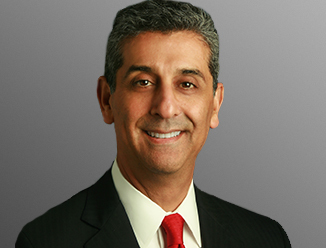 Kevin Aussef is Chief Operating Officer of CBRE Capital Markets line of business in the Americas comprised of investment sales, debt structured finance and Capital Advisors. In this role, he supports senior leaders in their respective responsibilities and implementation of capital markets priorities. He also oversees the functional leaders responsible for all day-to-day operations to support the business. Kevin continues to oversee CBRE Capital Markets’ Investment Properties team—a service line of approximately 500 Investment Sales Professionals in the United States. Responsible for overseeing the platform nationally, Kevin leads all strategic growth, recruiting, education and training initiatives. In 2013, Kevin was a recipient of CBRE’s President’s Performance Award, which recognizes leaders who have distinguished themselves through extraordinary performance. In 2015, Kevin was awarded the Manager Innovation Award for introducing innovative technology that made a material difference in client outcomes. He is also a member of CBRE's Americas Strategy Group, a team of the firm’s most senior leaders, including Division Presidents, Line of Business leaders and key leaders in operations and shared services.